0 Chevrolet Just Announced A 2018 Luke Bryan Suburban And It Is Insane! It’s one thing to be a mega country star, but for a car company to name an edition of their icon SUV after you? Flipped rear seats? Open windows? 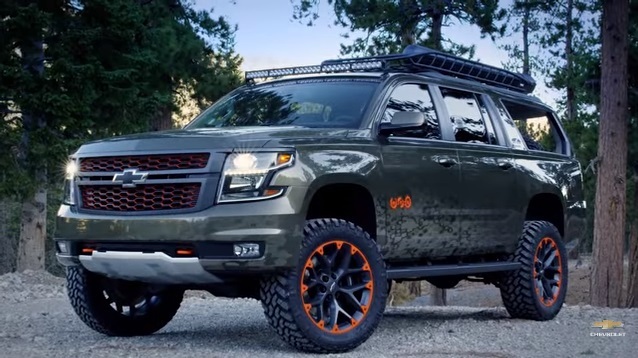 The 2018 Huntin’ Fishin’ Lovin’ & More Chevy Suburban. Insanity. 0 Luke Bryan Gets The Craziest Birthday Cake We’ve Ever Seen! Luke Bryan celebrated his birthday earlier this month and his son Bo surprised him with the craziest birthday cake we’ve ever seen. A salmon cake, as in “we made it look like a giant fish freshly caught and mounted on top of the cake” (!). Would you eat a slice of this? I’m not sure I could, but Luke clearly LOVED it! 0 WATCH: Behind The Scenes Of The Epic “Forever Country” Video! When 30 country superstars are involved in one project, you take notice, right? “Forever Country” is an all-star collaboration that pays tribute to 50 years of the CMA Awards. 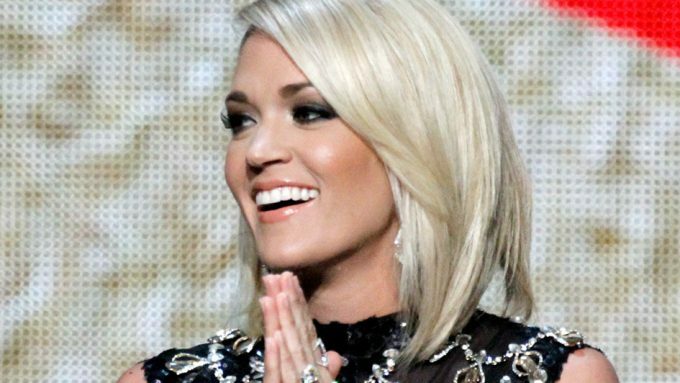 Was Carrie Underwood skeptical about the idea at the beginning? What did Tim & Brad think about it? Enjoy this cool behind-the-scenes video below, then watch the music video HERE (click)! 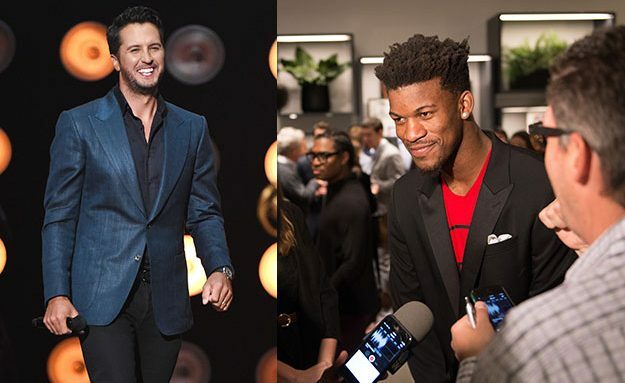 0 WATCH: Jimmy Butler Loves Luke Bryan Just Like We Do! 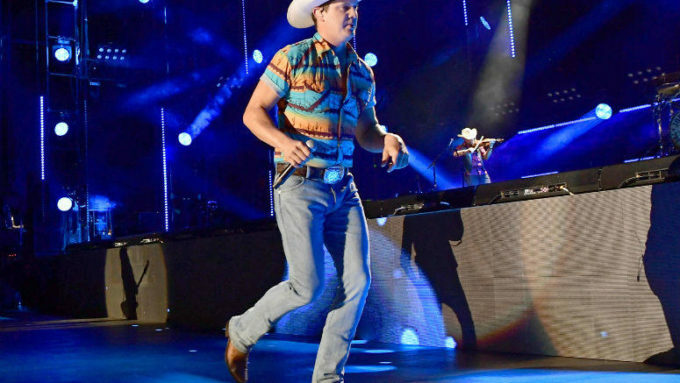 What an incredible night of Luke Bryan music Saturday at Wrigley Field … one guy who couldn’t make it back to town in time? Our Chicago Bulls basketball star Jimmy Butler! That’s okay, because his pal caught an impromptu singalong recently … and WE LOVE IT! 0 WATCH: Luke Bryan & Dierks Bentley Have A Friendly Co-Host Competition! Who has a bigger truck? Who has better hair? Who is a better husband? 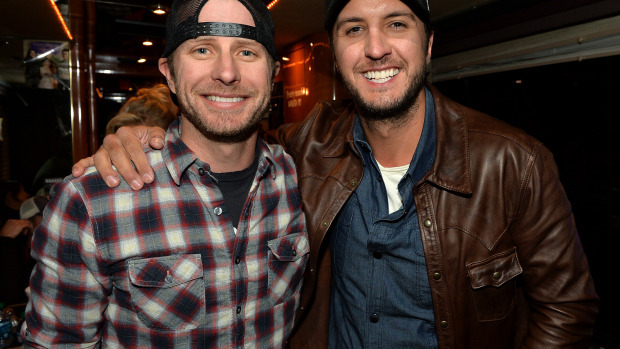 Watch as Luke & Dierks (preparing to host the ACMs this Sunday in Vegas) quiz each other on who knows more … funny stuff! 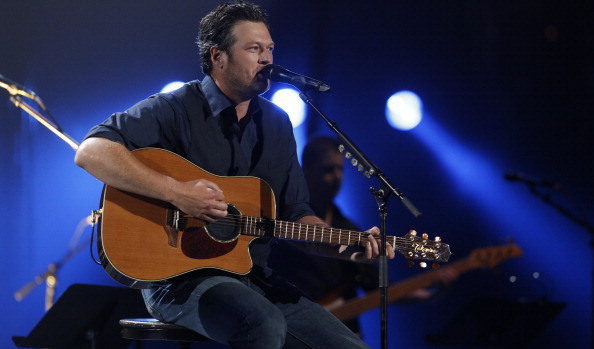 0 Blake Shelton, Little Big Town & Old Dominion Now Performing On The ACMs! As we count down to the show Sunday night (live from Vegas on CBS-2), the folks at the ACMs keep giving us better news! Just now, we found out that Blake Shelton, Little Big Town, Old Dominion and Charles Kelley (from Lady Antebellum) are now all scheduled to perform on stage … Awe. Some. 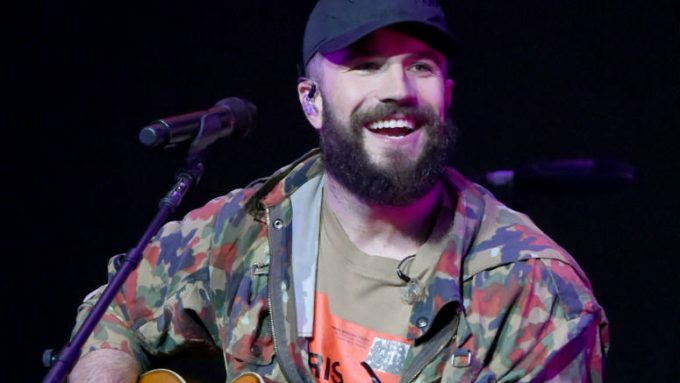 They join previously-announced superstars who’ll sing —–> Kenny Chesney, Jason Aldean, Dierks Bentley, Luke Bryan, Eric Church, Brett Eldredge, Sam Hunt, Tim McGraw, Kelsea Ballerini, Chris Stapleton, Carrie Underwood, Keith Urban, Chris Young with Cassadee Pope, Florida Georgia Line and more (!!!!!). 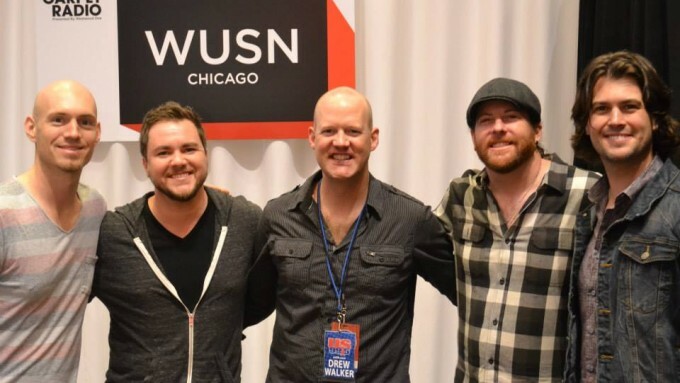 ** Eli Young Band is trending today as they’re in town to do a private, acoustic show for you in North Riverside at Miller’s Ale House (7515 W Cermak Ave, just west of Harlem Ave)! How to win your final passes in the door? Join me from 4-6p for the last 16 pairs. I’ll draw a name every 7 minutes, then you see the guys tonight! ** Blake Shelton, Florida Georgia Line, Little Big Town, Luke Bryan & Sam Hunt are all trending today as they’ll be honored tonight as the top country artists of the year during the “CMT Artists of the Year” special, live from Nashville on CMT at 7p. Chris Stapleton will also receive the “2015 CMT Artists of the Year Breakout” award and perform live, with country music legend Kenny Rogers receiving the ultimate honor – the prestigious “Artist of a Lifetime” award. ** The Band Perry is trending today as you’ll see them perform on NBC tonight at 7p, as part of the 83rd Annual Tree Lighting at Christmas in Rockefeller Center special. ** Luke Bryan is also trending today as he’s been added to the New Year’s Rockin’ Eve party with Ryan Seacrest on ABC this year. 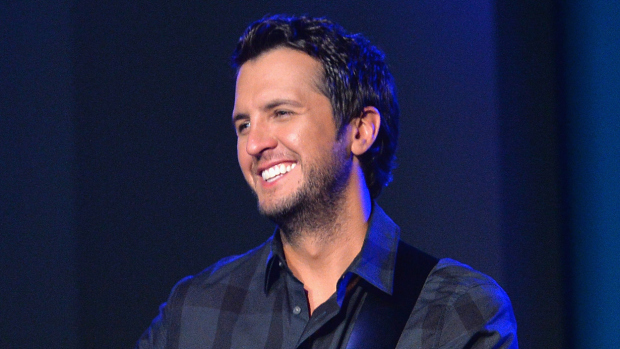 Hosted by Carrie Underwood, Luke is set to perform a few of his hits! ** Kellie Pickler is trending today as her new reality show “I Love Kellie Pickler” [with her husband Kyle] premieres tonight at 9p on CMT! 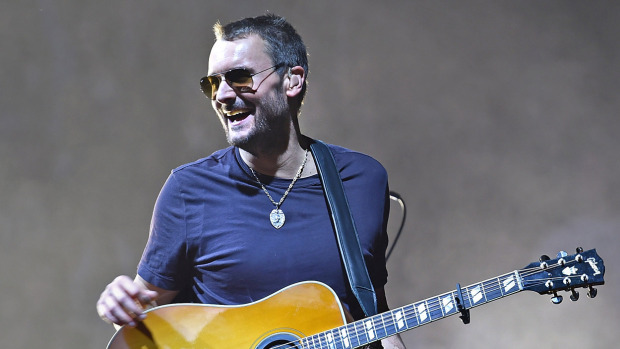 ** Eric Church is trending today after releasing a full album (!) yesterday … and no one knew about it, not even folks at his label! “Mr. MisUnderstood” features 10 songs and you can hear the title track on US99.5 all day! ** David Nail is trending today after he and his wife Catherine had a surprise on the CMA Red Carpet last night ::: her baby bump! David told us they’re expecting twins “in less than four weeks,” sooooo excited for them! ** Cam is trending today after giving us the title and release date of her debut album. Called “Untamed” and featuring 11 songs that she wrote or co-wrote, you’ll be able to buy it December 11th!